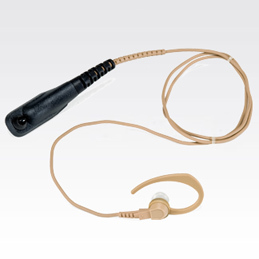 This compact, lightweight unit picks up sound through bone vibrations in the ear canal. This smal.. 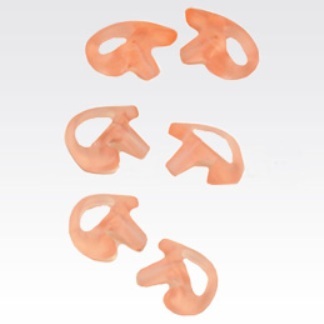 The clear, comfortable earpiece forms to the inside of the ear and is perfect for low-noise envir.. 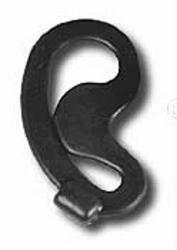 This black, receive-only surveillance accessory allows the radio user to privately receive messag.. 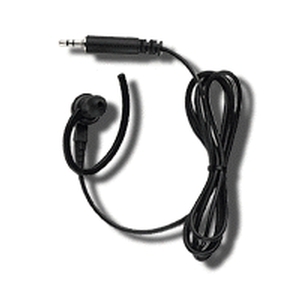 This medium size, black earholder secures the ear microphone in the ear. The lightweight unit pic.. 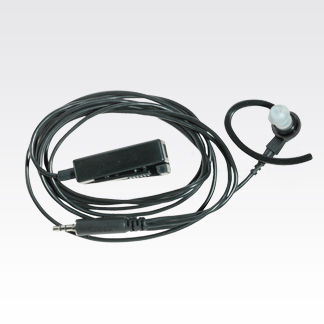 This large size, black earholder secures the ear microphone in the ear. Lightweight and compa.. 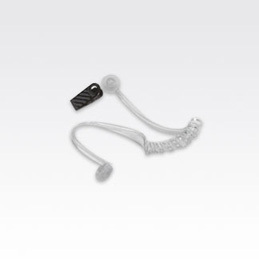 This small size, clear earholder secures the miniature ear microphone in the ear. 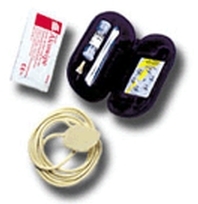 Compact and lig.. 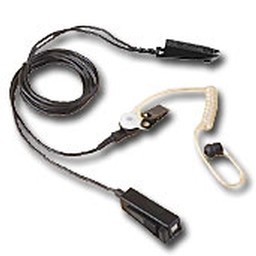 This low noise kit provides extra comfort for users wearing surveillance accessories. Lightweight..